described the official Opening and Renaming of the Hamilton Road as a victory and significant milestone for the people of Nevis. Mr. Liburd made the comment when he delivered remarks at the official ceremony hosted by the Nevis Island Administration on February 03 at Bocco Park. 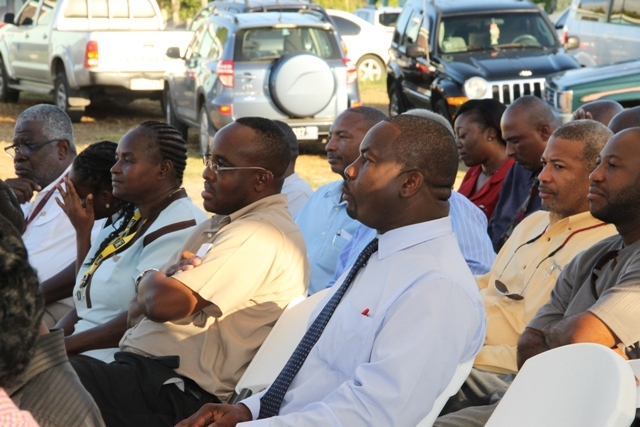 He said the completion of the EC$1.6million project, spoke to what could be achieved with local labour and expertise. 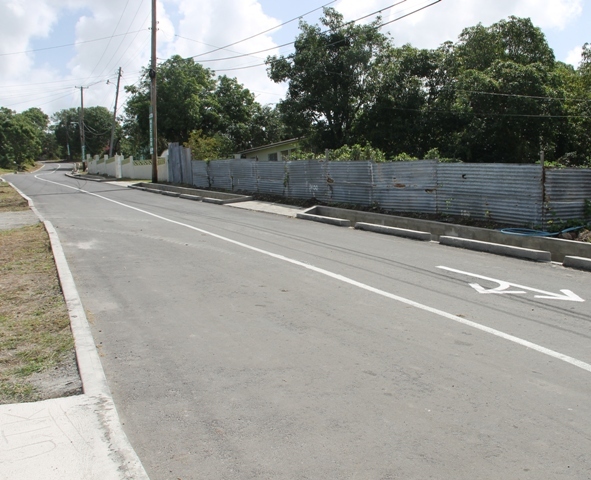 According to the Jr. Minister, the road would serve to enhance and improve the lives of the many people who traversed it on a daily basis, in particular, the residents of Hamilton, Government Road, Pump Road and the surrounding areas. He used the opportunity to thank the Cabinet of the NIA for its show of confidence in the people of Nevis to execute the road project. Mr. Liburd noted that the completed road project was in keeping with the NIA’s policy of people empowerment. The Jr. Minister also spoke to the scope of works for the road project. “This road was originally slated to cost just about $4million… and all that we have done here we did for just about EC$1.6 million. “I also want to say that as usual, we have gone above and beyond what was written on paper because we not only did the roads, we did a lot of driveways and walkways for the people in Hamilton. Those were not in the original scope of works but they were added as we went along,” he said. Mr. Liburd also noted that apart from the money saved on the project, it brought a real economic stimulus to Nevis that would not have been achieved from the $4million project since most of that money would have gone to a foreign company. He added that although he did not have any difficulty with foreign companies doing projects on Nevis but with scarce resources, all that could be harnessed from available local resources should be. “The trucks that pulled the material here were local trucks. The backhoes and the excavators and the other equipment that worked here were local equipment so local people benefited. The monies would have circulated in the economy here and would have done the most that it could do here in Nevis,” he said. Mr. Liburd also used the opportunity to thank the workers who were engaged in the successful execution and completion of the project. Meantime, Director of the Public Works Department Deora Pemberton said the Government/Hamilton/Charlestown Bypass Road Rehabilitation project was completed over a period of 10 months from October 2013 to January 2015. The road project was completed with 1390 feet of 2×2 U-drain, 1810 feet of 18inch slipper drain, 3100 feet of curb, 90 feet of 4×4 culvert and 5250 feet of roadway. The project was designed to improve access to and through the area with the construction of adequate width carriageway that would facilitate the maximum allowable vehicles and to create road shoulders and sidewalks where possible for safe pedestrian passage. It would also improve drainage and pluvial water evacuation with the construction of an adequate drainage system that would facilitate the volume of water that traversed the scope of the project. 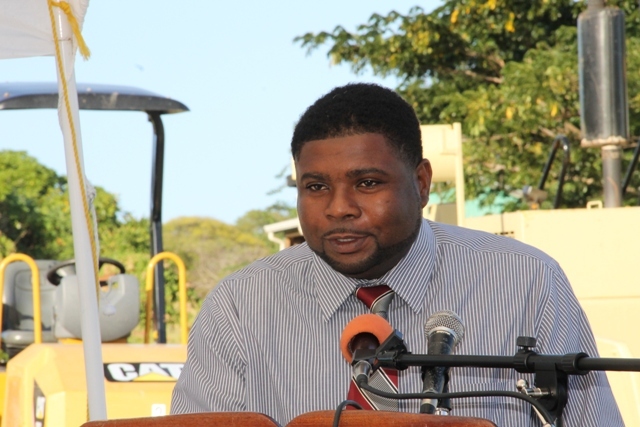 Permanent Secretary in the Ministry of Communications and Works Ernie Stapleton who chaired the ceremony congratulated the Public Works and Water Department for what he said was a job well done. Stapleton also expressed thanks and appreciation to the residents of Hamilton and road users for their cooperation and patience during the implementation of the road project. 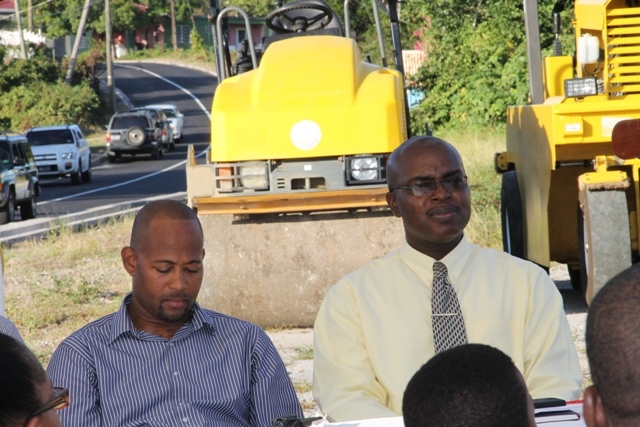 He stated that the road was a good investment in the economy of Nevis as the island’s infrastructure continued to be developed. Other remarks came from Hon. Alexis Jeffers, Deputy Premier of Nevis Hon. Mark Brantley and Premier of Nevis Hon. Vance Amory. The vote of thanks was given by Assistant Secretary in the Ministry of Communication and Works Denzil Stanley.